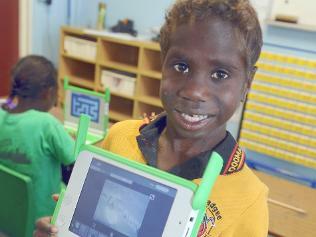 OLPC Australia Ltd has broadened its reach to Queensland with the annoucnment it has brought the XO now to the remote Doomadgee State School, in far northwest Queensland -- more than 2200 kilometres northwest of Brisbane, and some 500km from the nearest major town, Mount Isa. "Education is one of the most important things you can give a child," he said. "This program helps give kids in remote parts . . . educational opportunities they've never had before - opportunities we take for granted in the cities." 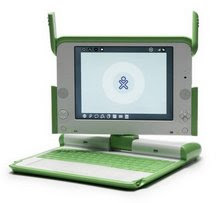 The remoteness of the Australian deployments underlines the facility of OLPC to reach the most inaccessible communities, a point not lost on Pacific educators where about 6000 XOs are now in use. More than a dozen Pacific countries requesting assistance on OLPC from major donors such as AusAID will be hoping the re-election of the Gillard Labor Government in Australia bodes well for their aspirations to improve the opportunities of their children to bridge the digital divide and join the global revolution in electronic delivery of education. The Australian government in May granted OLPC Australia Ltd charity tax deductible status, a move estimated to generate in excess of AUD$2 million in subsidies to the Australian program.